A Total Waste Management (TWM) programme operated by Cleansing Service Group (CSG) has enabled leading specialist materials manufacturer M&I Materials Ltd to become a zero waste to landfill company. The landmark achievement has been accomplished just a year after the programme was launched. Queen’s Award winner M&I supply industry and science worldwide with highly specialised materials including greases, transformer fluids, surge protection and tungsten heavy alloys from their development and manufacturing site in Manchester. CSG is a leading provider of TWM services and won the M&I contract by showing how having a single contractor to handle all of the company’s waste could deliver cost savings by providing cost effective and environmentally sound solutions to maximise recycling and minimise waste to landfill. A majority of the wastes – some 75 percent – collected by CSG are classed as hazardous by the Environment Agency and are being treated at the company’s specialist treatment and recovery complex at Cadishead, Manchester. The hazardous wastes include oils, fatty acids, oily rags and filter cake. 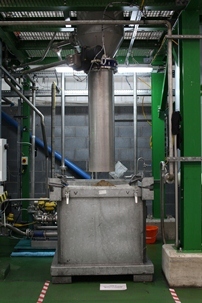 The latter, which after treatment was being sent to landfill, is now being recycled after CSG sourced a bespoke solution. M&I’s Site Services and Engineering Manager Les Campbell said: “When CSG first arrived on site we had to make changes in our procedures to ensure wastes were properly sorted and put in to the correct skip or other container. With help from CSG the necessary changes were made and implemented very quickly. Hampshire-based CSG, which is one of the UK’s fastest growing independent businesses, provides a wide range of Total Waste Management services to a customer base including Government departments, local authorities, utility companies, major supermarket groups and forecourt chains. Its Cadishead treatment and recovery centre is the largest in the UK. Picture Caption: Waste Fullers Earth generated during M&I’s production processes is collected by CSG and treated to avoid sending it to landfill.